HICKORY – League-leading Anderson (S.C.) held off Lenoir-Rhyne University on Saturday in women’s basketball, nipping the host Bears 69-63 in a South Atlantic Conference (SAC) game. Anderson (21-2, 15-0 SAC) won despite LRU (11-11, 6-8) having three players score in double figures. Madline Hardy, Karlie Bearden and Kendall Toineeta each scored 12 points for the Bears and Hardy grabbed 13 rebounds, while Kennedy Weigt hit three 3-pointers. 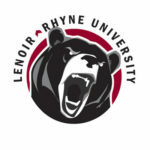 LRU outscored Anderson 30-22 in the paint and 25-21, but Anderson shot 43.9 percent to the Bears’ 39.4. Madison Baggett led Anderson with 16 points and Alexy Mollenhauer had a double-double with 13 points and 10 rebounds. Hardy’s double-double was her fourth of the season. She is a freshman from Madison and also had a double-double (21 points, 14 rebounds) when the Bears played Anderson earlier in the season. LRU, falling to 4-6 this season at Shuford Gym, continues its SAC schedule on Wednesday with a 6 p.m. home game against Wingate. The Bears are tied with Catawba for seventh place while Anderson remains three games up on second-place Wingate in the SAC race.